CleanTechnica is one of the biggest cheerleaders for Elon Musk and Tesla. We have published dozens of stories about how the mainstream (and not so mainstream) media spread false information about the man and the company, such as last week’s tempest in a teapot about how many miles Musk travels each year in his private jet. Most of those who write for CleanTechnica have put our money where our mouths are. We own stock in Tesla because we believe in Elon Musk and his mission. Gigafactory 2 — Much Ado About Nothing? 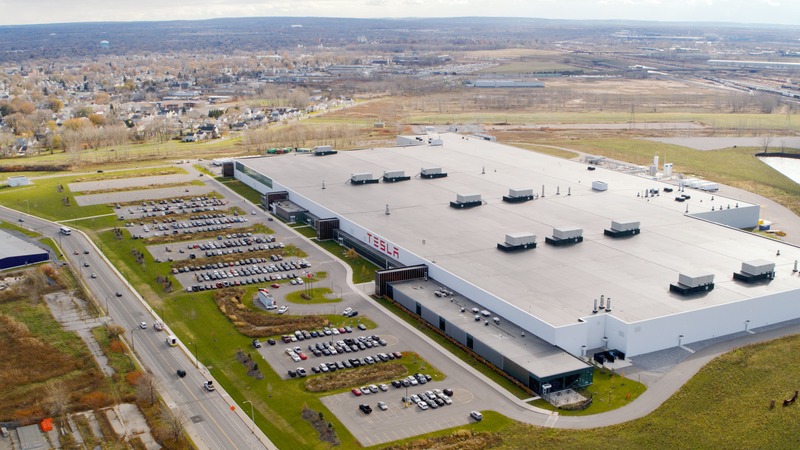 That being said, we have to report that Tesla’s Gigafactory 2 — the solar panel and solar roof factory in Buffalo, New York — appears to be a disaster waiting to happen. 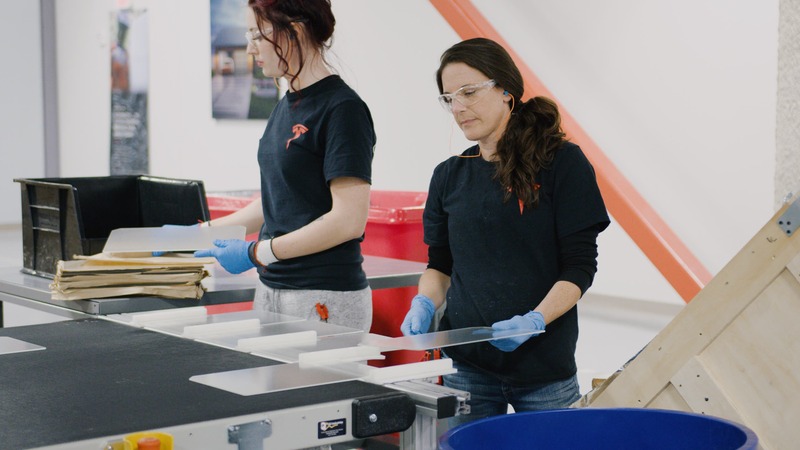 The state of New York ponied up $750 million to refurbish and equip the factory for Tesla, which promised to bring 1,460 desperately needed jobs to the Buffalo area by April of 2020. The workforce is well below that number today and in fact 50 people have recently been laid off as a result of the company’s 7% reduction in force initiative. As much as it pains us to say so, the evidence indicates the purchase of SolarCity by Tesla in 2016 had its flaws. Critics of the deal said at the time it was simply a bailout for Musk’s cousins, Lyndon and Peter Rive, but Musk cut them short by staging a splashy reveal for the new Solar Roof system he claimed would revolutionize the residential solar industry. Since then? Nothing much. Two of the workers recently laid off at Gigafactory 2 — Dale Witherell and Dennis Scott — tell WIVB Channel 4 News in Buffalo that when they complained about conditions at the factory, they were told by a supervisor that Tesla is trying to “build the plane as we’re trying to fly it” and that “hiccups” are part of being a startup. The television station filed a request with the company under the Freedom of Information Act (FOIA) asking for information about the number of people actually working at the factory. When it got no response from the company after three months, it appealed to the state of New York. In response, it got back information showing that Tesla employed 188 workers and Panasonic employed 279 workers as of the end of 2017. State officials said they have no data for 2018. “Tesla is required to provide employee numbers annually (broken down by quarter). The 2018 numbers will not be reported until early 2019,” said Patricia Bucklin, vice president of Administration for Fuller Management Corporation, in an email to WIVB. Last November, Tesla hosted a press event that offered reporters a look inside the factory. Witherell and Scott say it was a “dog and pony show” that deliberately disguised the fact that virtually no actual production was taking place at the factory. Instead, workers often spent time watching videos on their phones, according to these ex-employees. Tesla spent a month preparing for the press junket, the former employees say. The company built walls to hide unused equipment and blocked off large areas of the factory from view. Tesla has responded, saying the workers are mistaken. What was actually going on was new warehouse space being constructed. The event was tightly controlled. No video cameras were allowed inside. Instead, the company provided footage for the media to use. Is The Solar Roof For Real? For its part, Tesla says it is working hard to perfect its Solar Roof. In the latest company letter to shareholders, Elon Musk wrote, “We are continuing to install solar roofs at a slow pace to gather further learning from our design changes, as well as about the viability of our installation processes by implementing them in areas around the U.S. that are experiencing inclement weather.” A cynic might parse those words and conclude the Solar Roof just doesn’t work as advertised outside the sunny climes of Southern California. Much like the dog that finally catches a car after chasing it down the street, Tesla doesn’t seem quite sure how to capitalize on its acquisition of SolarCity. It needs to figure things out soon. If it fails to have the promised number of employees by a year from April, it owes the state of New York over $41 million a year in penalties. Is there light at the end of the tunnel? Maybe. Workers at the plant say last December they were introduced to a new product that will be built at Gigafactory 2 starting later this year. Nobody is talking in specifics about what they saw, but the guess is that it is a new grid-scale energy storage product that may or may not be called the Megapack. Rumors have been floating around for months about just such a development, but an email to Tesla from CleanTechnica got a very polite but very firm, “No comment.” Why the company would manufacture battery cells in Nevada and ship them all the way to Buffalo to be assembled into battery packs is unclear. One of the things that rankles employees and local officials in Buffalo is what they perceive as a lack of respect from the company and its senior managers. While Musk jets around the world in pursuit of his dream of weaning the world off its addiction to fossil fuels, he has reportedly never once set foot in the Buffalo factory. Gigafactory 2 seems to be an afterthought. The editors are sympathetic to the company’s plight. “It takes a strong stomach to deal with the ups and downs of new markets and new industries.” But here is the real message: “It has been a century since Buffalo has been on the cutting edge of anything this big.” Buffalo is like many American cities that were once industrial powerhouses but have now been passed by in the race to create an all-digital economy. That sense of being forgotten is what propelled Donald Trump into the White House, as ironic and counterproductive as that election was. Tesla is risking a similar backlash from the local community and the state of New York, a backlash that could damage the company in unforeseen and unpredictable ways. Musk has treated Gigafactory 2 with a dose of what former New York senator Daniel Patrick Moynihan called “benign neglect.” That needs to change. The man who slept on the factory floor in Fremont during what he called “production hell” needs to devote some serious attention to what is going on — or not going on — in Buffalo. There are few instances in which Musk can be faulted for not doing enough, but Gigafactory 2 is clearly one of them.